An enactive approach to music education is explored through the lens of critical ontology. Assumptions central to Western academic music culture are critically discussed; and the concept of ‘ontological education’ is introduced as an alternative framework. We argue that this orientation embraces more primordial ways of knowing and being, revealing the fundamentally self-organizing or ‘autopoietic’ nature of the embodied musical mind. This enactive perspective is then contrasted with classic constructivist approaches and is developed within the context of care ethics. Ethical and practical possibilities for an enactive music pedagogy are suggested with the goal of helping music educators develop approaches based in possibility, imagination, and relationality, rather than in conformity to standardized practices and conventional ways of thinking. To conclude, the importance of critical ontology and the enactivist perspective is considered for music teacher education if our society is to open up to the full possibilities of music for human well-being. A critical ontology positions the body in relation to cognition and the process of life itself. The body is a corporeal reflection of the evolutionary concept of autopoiesis, self-organizing or self-making of life. [I]f life is self-organized, then there are profound ontological, cognitive, and pedagogical implications. By recognizing new patterns and developing new processes, humans exercise much more input into their own evolution than previously imagined. In such a context human agency and possibility is enhanced. (Joe Kincheloe 2003, 50). The enactive approach to mind poses a growing challenge to traditional ‘information-processing’ or so-called ‘cognitivist’ models of cognition and meaning-making (Stewart et al. 2010; Thompson 2007; Varela et al. 1993). Put simply, the enactive approach sees the mind as deeply continuous with the basic processes of life. As such, it does not understand cognition as reducible to ‘in the head’ processes of computation and representation, but rather in terms of the self-organizing or autopoietic activity that characterizes the co-emergent relationship between an autonomous living being and its environment. As a theoretical framework, enactivism explores such interactivity in the context of a living system’s generation of ‘meaning,’ showing how the relationship between a living creature and its environment involves a circular, self-generating, and dynamical structure that allows the system to bring forth or ‘enact’ a world that is relevant to its continued survival and well-being (Froese and Di Paolo 2011; Thompson 2007). From this perspective living cognition cannot be understood as causally driven by the environment. Nor is it reducible to information-processing in the brain. Indeed, the enactive approach eschews traditional dualistic frameworks rooted in inner-outer dichotomies and mechanistic metaphors (e.g. the input-output ‘mind-as-a-computer’ approach to cognition that understands the mind as ‘software’ run by the brain ‘hardware’). Instead, it sees bodily, affective, and cognitive development as continuous with each other; and it highlights the perceptual autonomy of the organism with regard to the kinds of relevant relationships it enacts through its history of structural coupling with the environment (Noë 2006; Varela et al. 1993). In brief, the enactive perspective does not conceptualize mind and cognition as distinct categories detached from the body and world. Rather, it sees them as embodied and ecological phenomena that emerge from the basic life processes and behaviors observable in even the simplest biological systems in their constant relational coupling with the world (Varela 1979; Weber and Varela 2002). As Kincheloe (2003) discusses, the enactive perspective has deep ontological implications for human being and knowing, where “human agency and possibility is enhanced” (50). It offers an alternative embodied and relational model of cognition that may help us reconnect with fundamental self and world-making aspects of our existence that are essential to a flourishing life. As such, enactivism also supports a critique of a number of problematic pedagogical assumptions, and is thus highly relevant to how we engage with music in educational contexts. Importantly, the enactive approach allows us to reexamine the meaning of musicality and education beginning with the embodied and affective origins of cognition, self-hood, and intersubjectivity (Colombetti 2014; Krueger 2013, 2014; Reybrouck 2001; Trevarthen 1999, 2002). From this perspective ‘music’ need not be understood simply as a kind of “pleasure technology” (Pinker 2009). Instead, it may be explored within the broader ethical context of human development and well-being—as a fundamental, empathic, and embodied sense-making capacity that plays a central role in how we enact the personal and socio-cultural worlds we inhabit (Krueger 2013, 2014; van der Schyff 2013b). As we discuss below, such insights lend support to past and present attempts (e.g., Bowman 2004; Elliott 1989, 1991, 1993, 1995, 2005; Elliott and Silverman 2015; Lines 2005a) to critically decenter traditional Western academic approaches to music education—which, it is argued, often tend to rely on reductive, disembodied and depersonalized assumptions about the nature of communication, learning, knowledge, aesthetics, and what musical experience entails. We begin with a brief look at some problematic assumptions central to Western academic music culture and consider the rather instrumental and ‘technologizing’ view of human being and knowing they imply. In connection with this, we then consider Martin Heidegger’s conception of ‘ontological education.’ We explore the valuable critique it offers of the modern Western world-view; and discuss the more primordial and situated understanding of knowing, learning, and being it opens up (Pio and Varkoy 2015; Thomson 2001; van der Schyff 2015b). These insights are then developed in connection with the concepts of ‘autopoiesis’ and ‘autonomy’ central to enactivism. Here we briefly consider how the enactive perspective departs from (or extends) similar approaches to human cognition and development by contrasting it with classic constructivist frameworks. Following this, an enactive-ontological approach to music education is developed in the context of ‘care ethics’ (Elliott and Silverman 2015; Gilligan 1982; Held 1993; Noddings 1982, 1995; Silverman 2012). We outline in general terms what an enactive and care-based music education environment might entail, and consider how the emerging enactive approach to interpersonal ethics (as a possible enrichment of care ethics) might help music educators develop pedagogical perspectives based in the primary bio-ethical principles of ‘participatory sense-making’ and ‘relational autonomy (Colombetti and Torrance 2009; De Jaegher and Di Paolo 2007; Urban 2014). As we go, we suggest that this turn towards such ontological concerns may prompt music educators to look beyond prescriptive ‘technicist’ points of view and develop more adaptive, co-operative, communal, and ‘life-based’ perspectives that embrace possibility, creativity, and the unique sets of relationships that develop in the pedagogical environment. To conclude, we return to the thought of Kincheloe to discuss the need for critical ontology in music teacher education if we as a society are to open up to the full possibilities of musical experience and its deep relevance for human well-being and world-making. Although our approach may sometimes seem polemical, our intention is not to assert an anti-Western agenda, nor to prescribe what or how educators should teach. Rather, the wide range of ideas and concerns we discuss below are meant to loosen taken-for-granted attitudes and decenter standard approaches. Above all, we hope to offer possibilities and concepts that may be developed through the creative imaginations of critically reflective teachers—who, in the spirit of the autopoietic perspective that guides our discussion, might be inspired to engage more fully in the ongoing process of enacting their own paths towards being and becoming music educators. In recent decades a growing number of authors have argued that the Western academic orientation towards music and music education is based in a problematic disembodied and decontextualized approach to cognition (Thompson 2007; Varela et al. 1993; Hanna and Maiese 2009), as well as in related ‘technicist’ approaches to teaching and learning (Elliott 1989, 1991, 1993, 1995, 2005; Elliot and Silverman 2015; Lines 2005a; Regelski 1998, 2002, 2012, 2016a). Indeed, until recently the taken-for-granted superiority and autonomous status of the Classical canon went largely unquestioned in Western culture (Nettl 2005) and the locus of musical expressivity and meaning was thought to be found in, or to be ‘possessed’ by, the formal structural relationships of the ‘music itself’ (Bohlman 1999; Clarke 2012; Schiavio et al. 2016; Small 1998). This perspective went hand-in-hand with a highly rationalizing, objectivist, and disembodied approach to meaning and aesthetics that was championed in the Enlightenment and that continues to drive many of our current assumptions. Here ‘meaning’ is understood largely in terms of abstract linguistic propositions and concepts; and aesthetic experience, accordingly, involves a detached contemplation of the formal relationships intrinsic to the (supposedly autonomous) musical ‘work’ itself. Because of this, (and until recently) the situated, embodied, and affective aspects of (musical) cognition have been largely ignored (Colombetti 2014; Johnson 2007; Powell 2007). Put simply, this orientation has resulted in the (often-tacit) assumption that a proper aesthetic account of a musical work has little to do with the actual lives of individual listeners. Rather, what matters is possession of the appropriate cognitive apparatus and technical knowledge to correctly perceive and reproduce the putatively objective formal relationships encoded into the score by the composer (Sloboda 1985; c.f. Small 1999). This perspective has developed alongside the orthodox information-processing approach to human cognition mentioned above. As a result, in psychological contexts music cognition is often framed in terms of a representational ‘correspondence-based’ schema, leading to the widely held assumption that the perception of musical relationships or ‘meanings’ is causally determined by specific musical antecedents intrinsic to the ‘music itself’ acting on a range of pre-existing cognitive mechanisms that respond via prescriptive rule-based processes (Pinker 2009; Scherer and Coutinho 2013). A growing number of scholars are expressing dissatisfaction with this view. For example, Clarke (2005) argues that this perspective reduces musical cognition to an “abstract reasoning or problem solving process” where “perception is treated as a kind of disinterested contemplation with no connection to action, bearing little relationship to the essentially exploratory function of perception in the life of an organism” (15). Similarly, both Elliott (1989, 1991, 1995) and Elliott and Silverman (2015) point out that the Western academic focus on the primacy of the ‘work’ has contributed to a problematic decontextualized approach where music education, especially at the secondary and post-secondary levels, is generally seen as aesthetic education (Reimer 1989)—where the term ‘aesthetic’ is understood in the abstract, highly-rationalizing and disembodied sense that follows from a number of “eighteenth-century axioms” (see Elliott 1995). Other writers argue that the global dominance of the Western perspective amounts to a form of cultural and epistemological ‘colonialism’ in music education—that it maintains a kind of hegemonic status over indigenous musical traditions (Bradley 2012; Imdada 2012) and that it marginalizes certain musical practices (e.g. improvisation; Bailey 1993; Nettl 1974). Likewise, this ‘colonizing’ orientation may also be understood within the context of Western culture itself. Indeed, this depersonalized and homogenizing view of music and music education is seen by some as symptomatic of a highly bureaucratic, ‘culturally administered’ bourgeois society, which led to “the construction of the musical canon as a cultural-entrepreneurial strategy” (DeNora 2011, 48; see also Adorno 1973; Adorno and Horkheimer 2002; Goehr 1992). Others add that it may also be associated with what has been referred to as a problematic “technological enframing” of being and knowing that emerged in the modern era (see below), where individual agency, the diversity of human experience, and the primacy of feeling are devalued (Heidegger 1982, 2008; Sheets-Johnstone 1999, van der Schyff 2015b). This may be observed, for example, in the objectivizing and technological-mechanistic ways we often talk about and understand cognition, education and human development in the modern world (Johnson 2007; Kincheloe 2003; Thompson 2007; Varela et al. 1993). In brief, this disembodied, bureaucratic, and technologizing conception of human being and knowing has had a profound influence on Western academic music culture—where musical development, cognition, and education are often framed in terms of externally imposed rules and conventions, and where students are trained to perform and think according to standardized practices (Lines 2005a, 2005b). Because of this, musical knowledge is often transferred to students in a more or less uncritical and decontextualized fashion reminiscent of the mechanistic “banking” model of education critiqued by Freire (2000). And thus, musicians, teachers, students, and listeners risk becoming part of the cultural ‘standing reserve,’ mere resources or consumers in the corporate techno-culture (Giroux 2011; Heidegger 1982; Marcuse 2004; Thomson 2001). As we will discuss, from the enactive-ontological perspective this orientation may be seen as unethical when it downplays the autonomous, embodied, creative, and self-making capacities of (musical) learners and teachers, and when it reduces their ontological status to passive and anonymous receivers (consumers), processors, and reproducers of information. On the face of things, it might seem obvious that such ontological concerns should be central to music education. After all, how teachers pursue education should be closely tied to how they understand themselves and their students—that is, to some evolving conception of what kinds of beings are involved and what being-as-learning and being-as-educating entails. Unfortunately, such fundamental questions are rarely explored with any depth in music teacher education. Likewise, little consideration is given to the development of critical perspectives that might encourage teachers and students to question the received cultural, philosophical, and scientific assumptions that guide our understandings of music, cognition, and education in the first place. We should be aware that ignoring such concerns may perpetuate a kind of ‘false consciousness’ (Eagleton 1991) that promotes reductive and prescriptive assumptions, and thereby curtails the possibilities of human being and knowing. And indeed, such a perspective lies at the heart of the Neo-liberal educational agenda when it seeks to train students to simply maintain the free market culture that now masquerades globally as democracy (Giroux 2011; Kincheloe 2008). However, as Heidegger discusses, this dehumanizing and instrumentalizing rationality is not rooted in some pre-given or universal aspect of human cognition. Rather, it is a historical development (see Dreyfus 2002). As he points out, the Greek conception of techné involves a more complex range of concerns than the modern view affords. Most notably, techné is enmeshed with the notion of poiēsis or ‘being-as-production.’ Again, the use of the term ‘production’ should not be confused with a modern industrial notion of the word. Rather, the Greek idea of poiēsis revolves around the concept of bringing-forth or disclosing that (good, excellence, potential) which is immanently present, and where the agents of being-as-production are enmeshed in the process as a continuous system. By this light, technical knowledge is not seen simply as an end in itself, but rather as serving the wider existential project associated with human flourishing. Following Plato, Heidegger claims that the art of a true ontological education (as opposed to mere training) requires a “turning around” to face and reexamine the origins of one’s thought and being. As such, Heidegger’s conception of education involves both a negative and a positive moment (see Thomson 2001). On one hand, it requires a critical examination of taken for granted or historically sedimented attitudes that obscure essential possibilities of being-in-the-world. On the other, it looks to what this clearing away reveals about the essence of human being and develops possibilities that point the way to the future of education as a means of self and world making—whereby the possibilities of one’s being-in-the-world may be ‘brought forth’ most fully. What is revealed here is that education need not be understood simply in terms of the transfer, processing, and reproduction of fixed information according to standardized procedures. Instead, it may be embraced as a shared activity where educators and students, through their unique histories of interactivity and discovery, disclose the praxis of learning itself (Elliott and Silverman 2015; Freire 2000; Kincheloe 2008). Ontological education’s primary concern, then, is not simply with knowledge of ‘this or that’ (technical facts and procedures), but rather with developing deeper ethical and self-reflective understandings of what it means to be and become a learner and teacher. Importantly, from this perspective ‘the educator’ cannot be understood simply as a repository of facts and information. Rather, he or she becomes a ‘master of learning’ who strives to empower students to critically inhabit their own self and world-making processes as fully as possible, and thus become master learners themselves (Thomson 2001). As we have just considered, ontological education draws on a number of ideas introduced in Greek philosophy. This includes Aristotle’s conception of praxis, which has played an important role in much recent music education philosophy (Elliott 1995; Elliott and Silverman 2015). Put simply, praxis entails more than simply ‘doing’ and ‘making.’ Rather, it highlights the ethical meaning of our actions in specific contexts, and therefore goes beyond technical forms of knowledge. From a ‘praxial’ perspective all truly meaningful technical or theoretical modes of revealing (of thinking, acting and making) are underpinned by, and contingent on, the practical, empathetic and action-based ways of knowing associated with the notion of phronēsis (see Elliott and Silverman 2015; Regelski 1998, 2002, 2012, 2016a). If techné describes the principles and methods of production, then phronēsis involves the active and ‘care-full’ concern with one’s own life and with the lives of others; it refers to the fundamentally caring way we orient ourselves in the world­. The knowledge (and action) associated with phronēsis is therefore inherently embodied and affective; it includes the ongoing development of pragmatic ‘knowing-how’ that takes relevant circumstances­ into account. Because of this, phronēsis gives living contextual meaning to technical and theoretical knowledge. It allows us to open up to the world; to project certain possibilities ‘ahead-of-ourselves’ (Heidegger 2008); and may be cultivated into forms of reflection that reveal the richness of being in a given situation. In brief, phronēsis embraces the deep continuity between embodied action, imagination, and thought; between movement, empathy, affectivity, feeling and motivation, and how we frame the world in rational and ethical terms (Johnson 2007). It enables “knowing how to negotiate our way through a world that is not fixed and pre-given but that is continually shaped by the types of actions in which we engage” (Varela et al. 1993, 144). It is therefore central to how we develop meaningful relationships within the contingencies of life, which is crucial for well-being and the authentic bringing forth of the self (autopoiesis). This all resonates rather closely with the enactive perspective. As Varela and colleagues (1993) write, “[t]he greatest ability of living cognition […] consists in being able to pose, within broad constraints, the relevant issues that need to be addressed at each moment” (145). And indeed, the enactive approach may be understood to offer a deep biological grounding for phronēsis when it describes the origin of mind and self-hood in terms of the self-generating activity of living creatures as they strive to enact sustainable and flourishing relationships with the contingent environments in which they are embedded. Importantly, this can only occur when a living system is able to remain dynamically open to the environment (its interactivity) while simultaneously maintaining its autonomy (Varela et al. 1993; Thompson 2007). To clarify what this means, one might consider how a computer, while apparently requiring interactions to function meaningfully, has no way of doing so autonomously. This is because it is not a self-making entity and therefore has no intrinsic way (or motivation) to reach out to the world, to move and make itself. It does not and cannot ‘care’—it is unable to ‘frame’ the world phenomenally or morally and therefore has no access to contextual, ethical or (phronēsis-based) praxial understanding. Put simply, a computer has its ‘ontological footing’ outside of itself; and thus the meanings of its ‘cognitive’ operations depend wholly the external entities (i.e. humans) who use and interpret them. Living organisms, by contrast, maintain an autonomous and highly valenced (i.e. affective; see Colombetti 2014) relationship with the environment—one that distinguishes itself through difference and interactivity, whereby a basic metabolic perspective of value, a point of view, or indeed, a ‘self’ may arise, develop, and flourish (Barbaras 2010; Di Paolo 2005; Thompson 2007). This inseparable asymmetrical relationship between the bounded (e.g. skin, cellular membrane) networks of self-generating metabolic processes and the open sensorimotor dynamics of the organism’s ‘sense-making’ activity shows that living ‘meanings’ are ‘emergent’ transforming phenomena that depend on the different layers of self-organization (autopoiesis) of the whole organism as it continually enacts a world that is relevant, most fundamentally, in terms of its continued survival and well-being. This occurs through a history of structural coupling with the environment—i.e., via body, actions, language, socio-cultural, and physical interactions, emotions, and so on. Interestingly, this also recalls Aristotle’s important, but little-discussed, conception of órexis—which concerns his observation of how all living beings continually ‘reach out’ to the world in order to realize their potential as fully as possible; and how, as a result, organic being necessarily finds its ontological grounding in bodily and spiritual (psuché) movement (Nussbaum 1986, 2001; van der Schyff 2010). Importantly, from the enactive perspective the generation of meaning by living cognitive systems is not externally driven (as with computing devices). Rather, cognition is intrinsically rooted in organism-environment relationality. It is therefore impossible to reduce living experience and cognition to objective inner or outer structures (Varela et al. 1993). By this light, living organisms (people) may be understood to participate in (musical) learning processes through circular and contingent patterns of action and perception that continuously shape and renew the coupling’s (organism-environment; musician-ensemble; student-teacher-educational ecology) own structural networks (O’Reagan and Nöe 2001, Maes et al. 2014; Matyja and Schiavio 2013; Schiavio 2015). Again, information is not objectively ‘out there’ in a pre-given world waiting to be ‘processed’ or ‘deposited’ into the student. Meaning and knowledge are not wholly generated according to prescriptive rules, nor are they simply ‘in the head.’ Rather, they are brought forth through the contextual sensorimotor interactions that develop within a living organism-environment system (Oyama 2000; Thompson 2007). In this way, musical development may begin to be understood as a ‘distributed’ phenomenon, where the musical mind is necessarily embodied and ecologically ‘extended’ (McGann et al. 2013; Krueger 2014) into the dynamic adaptive relationships and phronētic practices (e.g., musicking and education) that emerge between people and their environments, which includes other cognitive agents (other students, teachers, bandmates and so on). From the enactive perspective, the capacity to interact with the world in an open-ended, relational, autonomous, situated, and self-making way becomes the fundamental bio-ethical principle of a flourishing life, eudaimonia, or the ability of the organism to reach its own potential as fully as possible. This insight is shared by critical pedagogue, Kincheloe, who writes, “In both its corporeal and cognitive expressions the autopoietic life process reaches out for difference, for novelty, to embrace its next ontological level” (Kincheloe 2003, 49). Thus, while an enactive pedagogy strives to create the most fertile ground for such growth to occur, it is also careful about imposing strict developmental agendas on the pedagogical environment. It remains committed to the notion of autopoiesis as a guiding principle and thus seeks to foster a critical attitude towards cultural forces, institutions, power structures and sedimented attitudes that impose prescriptive and instrumental ontologies. It demands, as Jardine (2012) puts it, a pedagogy left in peace. With this in mind, it may be useful to briefly contrast the enactive perspective with related approaches to cognitive development. For example, at first glance the enactive approach may recall Vygotsky’s model of intersubjective learning (Crawford 1996), where students play an active role in learning, and teachers act as facilitators who aim to foster the construction of meaning in the pupil. Similarly, we may also find resonances with enactivism in the thought of Piaget (1952), who sees human development proceeding according to a “self-organizing principle inherent in life itself” (19). For Piaget, it is this primordial function of autopoiesis that is essential or a priori, not the structures and categories that emerge from it. In line with this, his program of ‘genetic epistemology’ explores how a child moves from a biological organism equipped with only a sensory motor system to a creature capable of abstract thought; that is, how basic sensorimotor intelligence develops into a rich understanding of a ‘self’ as a being in a world of objects, creatures and other embodied minds. This said, Piaget remains committed to a dualist conception of an independent knower and a pre-given world, where the laws of cognitive development, “even at the sensorimotor stage, are an assimilation of, and an accommodation to, that pre-given world” (Varela et al. 1993, 176). In connection with this, he also understands cognitive development to proceed stage by stage towards a logical endpoint—namely, a Kantian notion of detached, objective, scientific (anonymous) reasoning as the highest potential of human development or ‘maturity’ (see Jardine 2005). Thus, as Varela and colleagues (1993) point out, in Piaget we find a curious tension: “an objective theorist who postulates his subject matter, the child, as an enactive agent, but an enactive agent who evolves inexorably into an objective theorist” (176). And similarly, the learning advocated by the Vygoskian form of constructivism sees cognitive development as finally determined by the dynamics of thinking and speaking (Vygotsky 1987). Such classic constructivist frameworks offer many important insights. However, in the end they may have little to tell us about the sophisticated kinds of embodied and emotional-affective ways of knowing and being musical development and engagement require (Bowman and Powell 2007) when, finally, they privilege such linguistic and objectivist forms of knowledge. And so, while the enactive approach does resonate with constructivism in many ways, it remains wary of constructivist claims that imply distinct developmental stages and pre-given outcomes, where primary embodied ways of knowing are progressively usurped by rationalizing, propositional-representational, and objectivist modes of thought. Rather, an enactive approach to music pedagogy sees organism and environment as a continuously co-arising process characterized by its open-endedness (Varela et al. 1993)—where primordial forms of embodied-affective sense making continue to inform all aspects of knowing and being even as we ‘grow up’ and begin to engage in more explicitly linguistic and rational (e.g., propositional) modes of communication and meaning-making (Johnson 2007; Sheets-Johnstone 1999). Indeed, this is a central reason why musicality is so important for education and human well-being—it affords a way of reconnecting with and developing such fundamental embodied and emotional ways of being and knowing (Bowman 2004; van der Schyff 2015a, 2015b). In light of the ontological and developmental concerns discussed above, the music education environment can no longer be understood simply as a training ground, where pre-given information and techniques are transferred to otherwise anonymous students through standardized procedures. Nor can musical development be seen as leading towards fixed, objective understandings abstracted from the contingencies of life and the range of embodied-affective and social engagements that constitute our being-in-the world. Rather, from an enactive perspective, the educational environment is revealed as consisting of a group of interacting autopoietic entities, reaching out to each other and drawing themselves together through their mutual care for being-and-becoming musical. From this ‘life-based’ perspective the learning environment becomes an ecology of salience, where the relationships and meanings enacted go deeper than depersonalized technical musical knowledge or detached aesthetic appraisals; it represents the unique conditions of satisfaction for the (musical) organism’s self-organizing development as it strives towards a flourishing existence. This reaching out to the world through music is guided and given meaning, most fundamentally, by the interactivity of the agents involved. The role of the educator is to reveal, encourage, and nourish this process. She engages her students by creating rich open-ended environments and projects where relational learning can be explored and where techné and theoria can be framed and developed in a living, contextual, and interactive praxis-based context. In doing so she introduces new elements, modes of communication, and ethical ways of perceiving into the environment that challenge students, both collectively and individually, to develop new ways of embodied, adaptive, situated, or contextual knowing (Elliott and Silverman 2015)—to uncover new dynamic patterns and variations that foster development at the micro (individual) and macro levels (ensemble) (Granott and Parziale 2002). In care ethics, relation is ontologically basic and the caring relation is ethically (morally) basic. Every human life starts in relation, and it is through relations that a human individual emerges. […] Care ethics emphasizes the difference between assumed needs and expressed needs. From this perspective, it is important not to confuse what the cared-for wants with that which we think he should want. We must listen, not just ‘tell’, assuming that we know what the other needs. (771–3). From this perspective the relationship between teachers and students is no longer grounded in a fixed or depersonalized hierarchy, where the meaning of ‘information’ (what is taught) is externally imposed on the pedagogical system—and where the ‘how’ of teaching involves “blind faith in and devotion to a technicist method” (Regelski 2002, 111) or some kind of curriculum for all students everywhere (Noddings 1995). Rather, students and teachers engage in an open-ended, communal, and dialogical process of mutual specification whereby knowledge and understandings emerge from the relational and co-operative (musical) pedagogical ecology they co-enact (Reybrouck 2005; Schiavio and Cummins 2015). As we began to consider above, the enactive approach understands that (unlike computing machines) autonomous, self-making, living creatures necessarily engage in shared or participatory forms of sense-making (De Jaeger and Di Paolo 2007) and thus constitute evolving and meaningful environments for each other (Oyama 2000; Varela et al. 1993). Here the well-being of such intersubjective ecologies is not understood to be based in some facile sense of consensus or conformity, but rather in terms of the ongoing dynamic of difference inherent in larger autonomous systems (e.g., a class or ensemble). Indeed, the caring, critical, and compassionate exploration and negotiation of such difference allows the individual and group to understand that its fundamental ontological status is relational, interpenetrative, and transformative (Nakagawa 2000). Bateson (1972) reminds us that difference is ‘the pattern that connects’—reaching out to difference (orexis) both asserts the existence of a self or a point of view, while at the same time showing that the ‘self’ cannot be extricated from the complex system of organism-environment interactions it emerges from and that sustains it (see also Small 1998). As Ihde (1977) writes, the self is continuously transformed “through its encounter with things, persons, and every type of otherness it may meet” (51). It follows, then, that the idea of ‘cooperation’ need not be based in ‘higher’ or representational-conceptual modes of knowledge or communication. Nor is it necessarily motivated by some pre-given goal. Rather it may be understood as emerging from the embodied-affective interactions of the individuals involved, and the shared needs, desires, and actions that result from such contingent inter-subjectivity (phronēsis). In this way, a social group may be understood to enact their own goals and ways of coordinating action through dynamic adaptive processes (Fantasia et al. 2014). As Hubley and Trevarthen (1979) write, “cooperation means that each of the subjects is taking account of the other’s interests and objectives in some relation to the extra-personal context, and is acting to complement the other’s response” (58). While such cooperative processes may come to involve complex social dynamics and representational forms of communication (e.g. language), they can also be discerned, for example, in the primordial musical-emotional interactions that occur between infants and primary caregivers (Dissanayake 2012; Trevarthen 1999, 2002). It is important to note here that although the caregiver provides the basic embodied and affective ‘scaffolding’ for such basic social interactions to occur, the infant cannot be understood as simply responding passively to pre-given stimuli in the environment. Rather they make “specific preparatory body adjustments that facilitate the mother’s movements […] (Fantasia et al. 2014, 8; see also Krueger 2013; Reddy et al. 2013; Service 1984). That is, the infant and caregiver reach out to each other where “intentions and goals are not searched before or behind the communicative action as its ‘cause’, but [rather are] shaped and adjusted as the interaction unfolds” (Fantasia et al. 2014, 6). This is an excellent example of the interactive-autonomous dynamics that characterize all relationships enacted by living beings (see above). These intersubjective behaviors also lie at the heart of what enactivists term ‘participatory sense-making’ (De Jaegher and Di Paolo 2007), a central concept for the emerging enactive approach to social cognition and interpersonal ethics (Colombetti and Torrance 2009). From the enactive perspective, our capacity to engage in and develop such primary embodied-affective relationships forms the basis of our social and ethical selves, as well as our ability to make sense of the world more generally (Johnson 2007). However, as we began to consider above, similar embodied-affective and cooperative forms of interactivity and sense-making may move beyond simple dyadic contexts and extend to the larger social group as a living self-organizing entity in its own right—one which may be understood to constitute the very ground from which ‘persons’ emerge and return to in an ongoing process of mutual, co-operative transformation. Put simply, the enactive approach emphasizes the origins of ethics, meaning and self-hood in such relational, cooperative, and interactive behavior (Urban 2014). In doing so, it allows us to look beyond standard assumptions about human agency and autonomy, which are often considered in a detached and highly rationalizing context. Indeed, the received ‘cognitivist’ perspective handed down from Enlightenment thinking continues to permeate current notions of self-hood and cognition, where ‘autonomy’ is assumed to involve “primordially lone individuals [merely] extending their cognitive reach” (Urban 2014, 4). This is generally understood to occur within contexts that involve various social institutions characterized by certain normative modes of behavior and thought (see De Jaegher 2013). Here a further problem arises when such normative contexts are understood in a prescriptive functionalist light. That is, when they are reified and thought to exist “in a special normative realm independently of the actual lives of people” (Torrance and Froese 2011, 46), which makes it impossible to see how our institutions and received ways of being and thinking could be criticized or changed. This resonates with our critique (above) of the way Western academic music culture often dictates how we think about and do music and music education; how we often uncritically formulate our ideas about music cognition and learning within a taken-for-granted framework (Cross 2010). By contrast, the enactive perspective prefers to explore how normative contexts “are embedded in the ways people conduct [their] lives—their continued existence requires that they be continually (inter-) enacted, in either word or deed” (Torrance and Froese 2011, 46). In brief, the enactive approach to relational autonomy and social cognition highlights the origins and potential fluidity of normativity (De Jaegher 2013) in the complex embodied, contextual, and cooperative processes associated with participatory sense-making (De Jaegher and Di Paolo 2007). As Urban (2014) argues, this insight “can help us explain how a criticism and transformation of social structures, institutions, and norms can materialize. And [that] this is precisely what has been at stake in the ethics of care since soon after its conception” (2) (see also Cash 2010, 2013). This has great relevance for the project of critically revitalizing established practice and thought in music education when it loosens our understanding of ‘the normative’ and allows us to see how it may be transformed. That is, how new ways of knowing may emerge through critically reflective, relational-empathetic, creative and cooperative music praxis (Elliott and Silverman 2015). Given what we have discussed thus far, the enactive-ontological or autopoietic educator may be understood as one who discloses being-as-learning as an ongoing, transforming, and interactive process of self and world-making (Elliott and Silverman 2015). As we considered above with Heidegger’s ontological education, this means that the teacher can no longer be considered as an authoritarian repository of facts and techniques. Rather, as someone who embodies learning—and who provides the appropriate developmental ‘scaffolding’ for students (Lajoie 2005; van de Pol, Volman, and Beishuizen 2010)—the educator may be better understood as a kind of attractor around whom the pedagogical system organizes itself. In order to keep this dynamic relationship healthy, however, she must remain (interactively) open to the group as well as the contingent needs, developmental processes, and unique ways of knowing and doing that emerge in the individual students who constitute it (Noddings 2012; van de Pol, Volman, and Beishuizen 2009). The pedagogical techniques and theories she develops must be adaptive and contextually relevant—simultaneously emerging from and informing pedagogical practice; and all the while embracing the embodied-affective and participatory nature of human musicality (Elliott and Silverman 2015). Moreover, teachers, students and the pedagogical system they jointly enact (i.e., improvise) will also need to remain open to, and continually seek out new possibilities for understanding and engaging with, the wider cultural milieu they participate in. With this in mind, an enactive music educator will foster a dynamically open relationship between the ‘class’ (as a living system itself) and the world at large. Here students may be encouraged to contribute to the educational ecology by bringing ideas, critical and cultural perspectives, and musical practices drawn from their everyday lived experiences (see Green 2008). The class or ensemble will also creatively interact with musicians and cultural communities outside of the school environment. In this way, the development and meaning of the pedagogical system remains open-ended, relevant to the lives of those who constitute it, and is limited only by the general constraints of the possible. Developing such self and world-making potentials in a critically reflective pedagogical environment may help to enhance, personalize and, indeed, vitalize, more traditional or codified musical and pedagogical practices and theory. However, this approach also strongly implies the exploration of ‘alternative’ approaches to creative musicking that develop the unique possibilities of a given group or individual. This may involve improvisation and experimentation, the exploration of wider cultural perspectives and practices, as well as the development of creative collaborative projects that decenter the Western academic approach (e.g. Korsyn 2003; Powell 2005). Advocates of ethnomusicological and improvisational pedagogy have shown that such elements may be introduced early on to foster open, culturally aware, and creative attitudes in children (Campbell 2009). Along these lines, a number of highly promising pedagogical possibilities already exist in marginalized music practices associated with the so-called avant-garde and free improvisation (Bailey 1993; Borgo 2005, 2007; Lewis 2009; Thomson 2007; van der Schyff 2013a). The development of arts-inquiry projects in music education associated with ‘sonic ecology’ and ‘sound studies’ also hold great potential for developing deeper critical and affective (see Mathews 2008) understandings of the ‘natural’ and urban-cultural environments (Krause 2012; Powell and Lajevic 2011; Schafer 1994, 1986; Sterne 2012). Additionally, students may be encouraged to engage in enhanced or non-traditional forms of creative musical activities and analysis that develop multi-modal and cross-disciplinary perspectives (Clarke 2005; DeNora 2000; Kress 2010; Machin 2010), as well as the creative use of technology (Burnard 2007; Macedo 2013; Nijs et al. 2012; O’Neill and Peluso 2013; Slater and Martin 2012; Wilson and Brown 2012; van der Schyff 2016). Importantly, this open-ended, exploratory, and collaborative orientation takes the unique lives, interests, and creative potentials of students and teachers seriously in the ongoing process of curriculum development (Campell 2010). As Bowman (2004) writes, an enactive approach to music education embraces the great pedagogical significance of music when it highlights music’s ability to reveal the “co-origination of body, mind, and culture” (46). And indeed, the types of activities and relationships this orientation encourages may open up exciting new contexts for theorists and empirical researchers who wish to better understand and develop the transformative possibilities of music and arts education for self and society (Karlsen 2011; O’Neill 2012; Westerlund 2002). Lastly, because an enactive-ontological approach to music education places an emphasis on such life-based, embodied-empathic, creative and relational (i.e., phronēsis-based) ways of learning it will also necessarily involve encouraging students and teachers to examine and share their unique embodied emotional-affective involvement with, and motivations for, music-making. This is to say that exploring the deep possibilities of music for human flourishing will entail a radical opening up to one’s own affective-emotional life in order to better understand it—not simply as a fixed group of basic responses to, or appraisals of, external stimuli (see Schiavio et al. 2016), but rather as a primordial embodied way of contextually situated knowing that grounds our being-in-the-world as self-producing, caring social creatures (Johnson 2007; Krueger 2013). Above all, an enactive-ontological approach to music education does not treat teachers and students as anonymous transmitters, receivers, and reproducers of knowledge. Rather, it asks them to look at the world with a critical eye, to loosen sedimented or taken-for-granted attitudes, and thus imagine and explore possibilities for new and more ethical ways of being and knowing as the autonomous, embodied, social and creative creatures they are—“to be personally present to their own learning [and teaching] processes and self-reflective with regard to them” (Greene 1995, 181). Not surprisingly, however, developing such awareness in the modern educational environment is easier said than done. As we have considered, the modern perspective often obscures the rich possibilities of other ethical, ontological, and epistemological possibilities, both within the Western tradition and from other indigenous perspectives, leading to a rather disenchanted world-view (Thompson 1998; Wexler 2000). Therefore, as we discussed at the outset, an enactive music pedagogy will necessarily be a critical one. This demands a new perspective on what music ‘teacher training’ entails—one that strives to develop the kind of ‘critical consciousness’ or ‘conscientization’ advocated by Freire (2000) and other critical pedagogues as a counter to the instrumental and dehumanizing modes of ‘training’ and ‘conditioning’ that often pose as education in contemporary society. to move beyond mechanistic metaphors of selfhood. to appreciate the autopoietic (self-producing) aspect of the “self” in order to gain a more sophisticated capacity to reshape our lives. to understand the importance of socio-historical consciousness concerning the production of self. to recognize dominant power’s complicity in self-production vis-à-vis ideologies, discourses, and linguistics. to conceptualize new ways of analyzing experience and apply it to the reconstruction of selfhood. to move schools to examine the ontological realm of self-production and the myriad of forces that affect it. to become cognizant of the cognitive act as the basic activity of living systems—the process of establishing relationships and new modes of being. to grasp the notion that this ontological process of cognition constructs the world rather than reflecting an external world already in existence. to realize that the nature of this world, the meanings we make about it, and our relationships with it are never final—thus, humans are always in process. to see that the self is not pre-formed as it enters the world—that it emerges in its relationships to other selves and other things in the world. Such concerns point the way to a new, complex, critically ontological approach to music teacher education—one that develops a much wider range of philosophical, scientific, historic, cultural, critically reflective, therapeutic, and praxis-based concerns than have been entertained in traditional approaches. Following the Platonic-Heideggerian ‘turning around,’ this orientation demands a deepened interest in the nature of musical being and becoming as it relates to identity formation and personhood, individual and cultural development, as well as human flourishing beginning at fundamental embodied and emotional-affective levels. It involves fostering a phenomenological and critically contemplative attitude towards music, education, self, and society and a love for the broad range of knowledge this implies. Indeed, the critical-enactive educator must develop the skills to look beyond the information traditionally associated with his or her field of knowledge and develop an open, interdisciplinary perspective to help reveal the deep interpenetrations between the subject at hand and the world at large. Noddings (2012) writes that, “teachers need a richer, broader education” (776); they need the “latitudinal knowledge” that allows them to draw on diverse areas of understanding “in ways that enrich their teaching and offer multiple opportunities for students to make connections with the great existential questions, as well as questions of current social life” (Noddings 1999, 215). This speaks to the great intellectual challenges and commitments an enactive educator is asked to make. However, it also suggests the transformational impact a rich, critically ontological pedagogy can offer, not only for the lives of individual students and teachers but also for the society at large. Thomson (2001) points out that as a new ontological understanding “of what and how beings are takes hold and spreads, it transforms our basic understanding of what all entities are. Our understanding of education is ‘made possible’ by the history of being, then, since when our understanding of what beings are changes historically, our understanding of what ‘education’ is transforms as well” (248). With this in mind, a critically ontological approach also situates music education within the wider ecological, socio-political, and economic concerns related to the meaning and future of human-being in the modern world—as well as the associated transformations in culture and consciousness that will be required for our continued survival as a species (Mathews 2008). This invites opening up to indigenous and other marginalized ways of knowing in order to move beyond the alienating and ‘disenchanting’ machine metaphors of the Cartesian world-view (Thompson 1998; Wexler 2000). It also asks us to rethink the instrumental view of teachers and students as ‘human resources.’ Until recently, many of these perspectives on life, experience, music, and meaning have simply been seen as ‘primitive’ by the modern techno-culture. However, they are increasingly recognized as offering important ways of regaining “our belongingness to the world and the other people around us” (Kincheloe 2003, 11). And indeed, in today’s increasingly multi-cultural environment music offers an unparalleled ‘meeting place’ for individuals to come together from different backgrounds in order to experience each other in a non-threatening environment (Cross 2010)—to imagine, develop shared understandings (Greene 1995; Sparks 2014), and form new intersecting cultures. A critically ontological perspective offers a fresh way of exploring what education entails. It asks us to ‘turn around’ and consider the origins of mind, self, and cognition beginning with our primordial engagements with the world (Dewey  1991; Thompson 2007). In doing so, it reveals education as an open-ended, creative, intersubjective or, indeed, an enactive process—one where we may cooperatively engage in a critical restructuring of thought, feeling and action that affirms our fundamental nature as autopoietic creatures. In this way, an enactive-ontological pedagogy continually strives to open new possibilities for being and becoming musical when it asks us to question taken-for-granted ways of thinking, doing and being; and to understand that what may first appear as imposed or pre-given may in fact be transformed through critical and creative praxis. Of course, such possibilities are challenged by the highly bureaucratized contexts in which many educators strive to make a difference. But even here, opportunities do present themselves for critique and transformation. As Foucault (1980) points out, while we often tend to think of these bureaucratic environments in homogenous or monolithic terms (a necessary ‘truth’ requirement for normalization), the institutions and modes of discourse that govern them emerge historically in a piecemeal fashion—“a complex play of supports in mutual engagement” (159). This resonates with the ‘fluid’ conception of normativity discussed above in the context of enactive relational autonomy. It also strongly suggests that if educators and students are encouraged to develop the skills and awareness to maintain a vigilant critical perspective (see Flint 2012) they may better understand how such mechanisms of power are formed and interact—all the while searching for the cracks and gaps, the loosely formed intersections where they may make a difference. Thus, here and there, teachers may find and foster moments where the technicist and depersonalized agendas may be subverted (Elliot and Silverman 2015) and where more personalized, collaborative and creative pedagogical approaches may be enacted. In this way, an enactive and critically ontological shift in music teacher education may slowly open up richer life-based or autopoietic environments in schools, which will then deepen students’ understandings of the meanings and transformative possibilities of music for their lives and the socio-cultural milieu they inhabit. When music students then go on to become performers, teachers, and active cultural citizens they will arrive with a caring, relational, and self-making perspective that encourages imagination, creativity, and collaboration rather than conformity. This may then feedback into the teacher training system as the cultural consciousness of music (re)opens to its deep and diverse epistemological and world-making potentials. We would like to thank Susan O’Neill, Ian Barker, and Marc Duby for their helpful comments on recent drafts of this paper. Dylan van der Schyff is a performing musician, music educator and researcher in philosophy of music and music education. His scholarship draws on phenomenology, critical pedagogy, and enactive cognition to explore questions related to how and why music is meaningful for human beings, with a special focus on pedagogy and creative practice. He has contributed articles to journals such as Frontiers in Psychology, Phenomenology and the Cognitive Sciences, Psychomusicology, and Phenomenology and Practice. As a performer Dylan has appeared on over 100 recordings, spanning the fields of jazz, free improvisation, experimental, electronic and ‘new music’. Between 2002 and 2005 he taught at the Banff center’s Jazz and Creative Music Workshop. He currently teaches jazz percussion in the Faculty of Music at Capilano University (Vancouver, Canada). Dylan’s doctoral research at Simon Fraser University (Canada) is supported by a fellowship from the Social Sciences and Humanities Research Council of Canada. Andrea Schiavio is currently a postdoctoral fellow at the Department of Psychology of Bogazici University, Istanbul (Turkey), and an honorary research fellow at the Department of Music at the University of Sheffield (UK). Before that he was postdoctoral researcher at the School of Music at Ohio State University (USA), where he worked in the Cognitive and Systematic Musicology Lab, and the Center for Cognitive and Brain Science. His research activity sits at the intersection of music, cognitive science, neuroscience, education, and phenomenological philosophy. He combines empirical and theoretical tools, aiming to shed new light on the nature of human musicality from early infancy. He has published articles in Music Perception, Musicae Scientiae, Frontiers in Neurology, Phenomenology and the Cognitive Sciences, PLoS ONE, Empirical Musicology Review, and Psychomusicology. David J. Elliott is Professor of Music and Music Education at New York University. He is the co-author (with Marissa Silverman) of Music Matters: A Philosophy of Music Education, 2nd edition (2015), author of Music Matters: A New Philosophy of Music Education (1995), and, most recently, co-editor of Artistic Citizenship: Artistry, Social Responsibility, and Ethical Praxis (2016). He has published numerous book chapters and journal articles; he has presented more than 300 keynote papers and invited university lectures in 46 countries; he is the co-founder and editor emeritus of the International Journal of Community Music; and he is an award-winning jazz composer/arranger. Abril, Carlos. 2013. Critical issues in Orff Schulwerk. In Orff Schulwerk: Reflections and directions, edited by Cecilia Wang, 11–24. Chicago: GIA Publications. Adorno, Theodor. 1973. Negative dialectics. New York: Seabury Press. Adorno, Theodor, and Max Horkheimer. 2002. Dialectic of enlightenment. Stanford, CA: Stanford UP. Bailey, Derek. 1993. Improvisation: Its nature and practice in music. New York: DaCapo Press. Bakhtin, Mikhail. 1981. The dialogic imagination: Four essays. Austin and London: University of Texas Press. Barbaras, Renaud. 2010. Life and exteriority: the problem of metabolism. In Enaction: Toward a new paradigm for cognitive science, edited by John Stewart, Olivier Gapenne, and Ezequiel A. Di Paolo, 89–122. Cambridge, MA: The MIT Press. _____. 1979/1980. Mind and nature: a necessary unity. New York: Bantam Books. Berliner, Paul. 1994. Thinking jazz: The infinite art of improvisation. Chicago: University of Chicago Press. Bhabha, Homi K. 2004. The location of culture. Abingdon: Routledge. Bohlman, Philip. 1999. Ontologies of music. In Rethinking Music, edited by Nicholas Cook and Mark Everist, 17–34. Oxford: Oxford UP. Borgo, David. 2005. Sink or swarm: Improvising music in a complex age. New York: Continuum. _____. 2007. Free jazz in the classroom: An ecological approach to music education. Jazz Perspectives 1 (1): 61-88. Bowman, Wayne, and Kimberly Powell. 2007. The body in a state of music. In International handbook of research in arts education, edited by Liora Bresler, 1087–106. Dordrecht, The Netherlands: Springer. Campbell, Patricia S. 2009. Learning to improvise music, improvising to learn. In Musical improvisation: Art, education, and society, edited by Gabriel Solis and Bruno Nettl, 119–42. Urbana, IL: University of Illinois Press). _____. 2010. Songs in their heads: Music and meaning in children’s lives. Oxford: Oxford UP. Clarke, David. 2012. Musical autonomy revisited. In The cultural study of music, edited by Martin Clayton, Trevor Herbert, and Richard Middleton, 172–83. London: Routledge. Clarke, Eric F. 2005. Ways of listening: An ecological approach to the perception of musical meaning. Oxford: Oxford University Press. Colombetti, Giovanna. 2014. The feeling body: Affective science meets the enactive mind. Cambridge, MA: MIT Press. Crawford, Kathryn. 1996. Vygoskian approaches in human development in the information era. Educational Studies in Mathematics 31 (1-2): 43–62. Cross, Ian. 2010. The evolutionary basis of meaning in music: Some neurological and neuroscientific implications. In The Neurology of Music, edited by Frank Clifford Rose, 1–15. London: Imperial College Press. DeNora, Tia. 1986. How is extra-musical meaning possible? Music as a place and space for “work.” Sociological Theory 4: 84–94. _____. 2011. Music in action: Selected essays in sonic ecology. Burlington, VT: Ash- gate Publishing Company. Dewey, John. (1938) 1991. Logic: The theory of inquiry. In John Dewey: The Later Works, 1925—1953, volume 12, edited by Jo Ann Boydston, 1–527. Carbondale, IL: SIU Press. Di Paolo, Ezequiel A. 2005. Autopoiesis, adaptivity, teleology, agency. Phenomenology and the Cognitive Sciences 4 (4): 429–52. Eagleton, Terry. 1991. Ideology: An introduction. London: Verso. Elliott, David J. 1989. Key concepts in multicultural music education. International Journal of Music Education 13 (1): 11–18. _____. 1991. Music education as aesthetic education: A critical inquiry. Quarterly Journal of Music Teaching and Learning 2 (3): 57. _____. 1993. On the values of music and music education. Philosophy of Music Education Review 1 (2): 81-93. _____. 1995. Music matters: A new philosophy of music education. Oxford: Oxford UP. _____, ed. 2005. Praxial music education: Reflections and dialogues. New York: Oxford UP. Elliott, David, and Marissa Silverman. 2015. Music matters: A philosophy of music education. Second edition. Oxford: Oxford UP. Evernden, Neil. 1993. The natural alien. Toronto: University of Toronto Press. Fallace, Thomas. 2012. Recapitulation theory and the new education: Race, culture, imperialism, and pedagogy, 1894–1916. Curriculum Inquiry 42 (4): 510–33. Flint, Kevin. 2012. What’s play got to do with the information age? In The philosophy of play, edited by Emily Ryall, Wendy Russell and Malcolm Maclean, 152–63. London: Routledge. Foucault, Michel. 1980. Power/knowledge. New York: Pantheon Books. Freire, Paulo. 2000. Pedagogy of the oppressed: 30th anniversary edition. New York: Bloomsbury Academic. Froese, Tom and Ezequiel A. Di Paolo. 2011. The enactive approach: Theoretical sketches from cell to society. Pragmatics & Cognition 19 (1): 1–36. Giroux, Henry. 2011. On critical pedagogy. New York: Continuum. Granott, Nira, and Jim Parziale. 2002. Microdevelopment: Transition processes in development and learning. New York: Cambridge UP. Greene, Maxine. 1995. Releasing the imagination: Essays on the arts, education, and social change. New York: Jossey-Bass. Hanna, Robert and Michelle Maiese. 2009. Embodied minds in action. London: Oxford UP. Heidegger, Martin. 1982. The question concerning technology and other essays. New York: Harper Perennial. _____. 1998. Pathmarks. Cambridge, UK: Cambridge UP. _____. 2008. Being and time. New York: Harper Collins. Held, Virginia. 1993. Feminist morality: Transforming culture, society, and politics. Chicago, IL: University of Chicago Press. Held, Virginia. 2006. The ethics of care. New York, NY: Oxford UP. Huron, David. 2008. Sweet anticipation: Music and the psychology of expectation. Cambridge, MA: MIT Press. Hutto, Daniel and Erik Myin. 2013. Radicalizing enactivism: Basic minds without content. Cambridge, MA: MIT Press. Ihde, Don. 1977. Experimental phenomenology: An introduction. New York: G.P. Putnam’s Sons. Imdada, Tadahiko. 2012. The grain of the music: does music education “mean” something in Japan? In The Oxford Handbook of Philosophy in Music Education, edsited by Wayne Bowman and Lucia Frega, 147–62. Oxford: Oxford UP. Jardine, David. 2005. Cutting nature’s leading strings: a cautionary tale about constructivism. Canadian Journal of Environmental Education 10: 38–51. _____. 2012. Pedagogy left in peace: On the cultivation of free spaces in teaching and learning. New York: Bloomsbury Publishing. Johnson, Mark. 2007. The meaning of the body: Aesthetics of human understanding. Chicago: University of Chicago Press. Kimpton, Lawrence. 1959. Dewey and progressive education. School Review 67 (2): 126. Kincheloe, Joe. 2003. Critical ontology: visions of selfhood and curriculum. Journal of Curriculum Theorizing 19 (1): 47–64. _____. 2008. Knowledge and critical pedagogy: An introduction. London: Springer. Kohak, Ezrahim. 1984. The embers and the stars. Chicago: University of Chicago Press. Korsyn, Kevin. 2003. Decentering music: A critique of contemporary musical research. Oxford: Oxford UP. Krause, Bernie. 2012. The great animal orchestra: Finding the origins of music in the world’s wild places. New York: Black Bay. Krishnamurti, Jiddu. 1970. Think on these things. New York: Harper Collins. Krueger, Joel. 2009. Enacting musical experience. Journal of Consciousness Studies 16: 98–123. _____. 2011a. Doing things with music. Phenomenology and the Cognitive Sciences 10: 1–22. _____. 2011b. Enacting musical content. In Situated aesthetics: Art beyond the skin, edited by Riccardo Manzotti, 63–85. Exeter: Imprint Academic. _____. 2013. Empathy, enaction, and shared musical experience. In The emotional power of music: Multidisciplinary perspectives on musical expression, arousal, and social control, edited by Tom Cochrane, Bernardino Fantini, and Klaus R. Scherer, 177–96. Oxford: Oxford UP. Lajoie, Suzanne P. 2005. Extending the scaffolding metaphor. Instructional Science 33 (5–6): 541–57. Lewis, George. 2009. A power stronger than itself: The AACM and American experimental music. Chicago: University of Chicago Press. Lines, David. 2005a. Blacking’s legacy: The transformational and affective dimension of music education. In The legacy of John Blacking: Essays on music, culture and society, edited by Victoria Rogers and David Symons. Perth, Australia: UWA Press. _____. 2005b. “Working with” music: A Heideggerian perspective of music education. Educational Philosophy and Theory 37 (1): 63–73. Machin, David. 2010. Analyzing popular music: Image, sound and text. London: Sage. Marcuse, Herbert. 2004. Some social implications of modern technology. In Technology, war and fascism: Collected papers of Herbert Marcuse, Volume One, edited by Douglas Kellner. London: Routledge. Mathews, Freya. 2008. Thinking from within the calyx of nature. Environmental Values 17 (1): 41–65. Maturana, Humberto R., and Francisco J. Varela. 1980. Autopoiesis and cognition: The realization of the living. Dordrecht: D. Reidel Pub. Co.
Maturana, Humberto R., and Francisco J. Varela. 1992. The tree of knowledge. Boston: Shambhala. Matyja, Jakub R., and Andrea Schiavio. 2013. Enactive music cognition. Constructivist foundations 8: 351–7. Menary, Richard, ed. 2010. The extended mind. Cambridge, MA: MIT Press. Menin, Damiano, and Andrea Schiavio. 2013. Rethinking musical affordances. AVANT 2(1): 202-215. Miller, Ron. 1997. What are schools for? Holistic education in American culture. Brandon VT: Holisitc Educaion Press. Monson, Ingrid. 1997. Saying something: Jazz improvisation and interaction. Chicago: University of Chicago Press. Nakagawa, Yoshiharu. 2000. Education for awakening: An Eastern approach to holistic education. Brandon VT: Education Renewal. Nettl, Bruno. 1974. Thoughts on improvisation: A comparative approach. Musical Quarterly 60 (1): 1-19. Nettl, Bruno. 2005. The study of ethnomusicology: Thirty-one issues and concepts. Urbana, IL: University of Illinois Press. Nettl, Bruno, and Melinda Russell. 1998. In the course of performance: studies in the world of musical improvisation. Chicago: University of Chicago Press. Noddings, Nel. 1982. Caring: A feminine approach to ethics and moral education. Berkeley, CA: University of CA Press. _____. 1995. Philosophy of education. Boulder, CO: Westview Press. _____. 1999. Caring and competence. In The education of teachers, edited by G. Griffin, 205–20. Chicago: National Society of Education. _____. 2012. The caring relation in teaching. Oxford Review of Education 38 (6): 77–8. Nöe, Alva. 2006. Action in perception. Cambridge, MA: MIT Press. Nussbaum, Martha C. 1986. Aristotle’s De Motu Animalium. Princeton: Princeton UP. _____. 2001. The fragility of goodness. New York: Cambridge UP. O’Neill, Susan A. 2009. Revisioning musical understandings through a cultural diversity theory of difference. In Research to Practice: Vol. 4. Exploring social justice: How music education might matter, edited by Lee R. Bartel, 70–89. 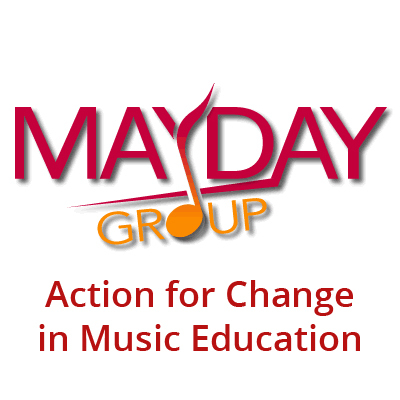 Waterloo, ON: Canadian Music Educators’ Association. _____. 2012. Becoming a music learner: Towards a theory of transformative music engagement. In The Oxford Handbook of Music Education, Volume 1, edited by Gary E. McPherson and Graham Welch, 163–86. Oxford: Oxford UP. O’Neill, Susan, and Deanna Peluso. 2013. Using dialogue and digital media composing to enhance and develop artistic creativity, creative collaborations and multimodal practices. In Developing creativities in higher music education: International perspectives and practices, edited by Pamela Burnard, 142–62. Abingdon, OX: Routledge. O’Regan, Kevin J., and Alva Nöe. 2001. A sensorimotor account of vision and visual consciousness. Behavioral and Brain Sciences 24 (5): 939–1031. Oyama, Susan. 2000. The ontogeny of information, Second edition. Durham, NC: Duke UP. Pio, Frederik and Oivind Varkoy. 2015. Philosophy of music education challenged: Heideggerian inspirations. London: Springer. Pinker, Steven. 2009. How the mind works. New York: Norton. Powell, Kimberly. 2005. The ensemble art of the solo: The social and cultural construction of artistic practice and identity in a Japanese American Taiko ensemble. Journal of art and learning research 21 (1): 273–95. _____. 2007. Moving from still life: The body in arts education. In The International Handbook of Research in Arts Education, edited bu Liora Bresler, 1083–6. Dordrecht, The Netherlands: Springer. Powell, Kimberly, and Lisa Lajevic. 2011. Emergent places in preservice art teaching: Lived Curriculum, relationality, and embodied knowledge. Studies in Art Education 53 (1):35–52. Regelski, Thomas A. 1998. The Aristotelian bases of praxis for music and music education as praxis. Philosophy of Music Education Review 6 (1): 22–59. _____. 2002. On “methodolatry” and music teaching as critical and reflective praxis. Philosophy of Music Education Review 10 (2): 102–23. _____. 2012. Ethical dimensions of school-based music education. In The Oxford Handbook of Philosophy in Music Education, edited by Wayne D. Bowman and Ana Lucia Frega, 284–304. Oxford: Oxford UP. _____. 2016a. A brief introduction to a philosophy of music and music education as social praxis. New York: Routledge. _____. 2016b Music, music education, and institutional ideology: A praxial philosophy of music sociality. Action, Criticism, and Theory for Music Education 15 (2): 10–45. Reimer, Bennett. 1989. A philosophy of music education. Englewood Cliffs, NJ: Prentice Hall. Reybrouck, Mark. 2001. Biological roots of musical epistemology: functional cycles, umwelt, and enactive listening. Semiotica 134:599–633. _____. 2005. A biosemiotic and ecological approach to music cognition: event perception between auditory listening and cognitive economy. Axiomathes 15: 229–66. _____. 2012. Musical sense-making and the concept of affordance: an ecosemiotic and experiential approach. Biosemiotics 5: 391–409. Ruddick, Sara. 1989. Maternal thinking: Toward a politics of peace. Boston, MA: Beacon Press. Schafer, R. Murray. 1986. The thinking Ear: Complete writings on music education. Bancroft, ON: Arcana Editions. _____. 1994. The soundscape: Our sonic environment and the tuning of the world. Rochester, VT: Destiny Books. Scherer, Klaus R. and Eduardo Coutinho. 2013. How music creates emotion: a multifactorial process approach. In The emotional power of music, multidisciplinary perspectives on musical arousal, expression, and social control, edited by Tom Cochrane, Bernardino Fantini, and Klaus R. Scherer, 121–45. Oxford: Oxford UP. Schiavio, Andrea. 2012. Constituting the musical object. A neurophenomenological perspective on musical research. Teorema 31 (3): 63–80. Schiavio, Andrea, and Fred Cummins. 2015. An inter(en)active approach to musical agency and learning. Proceedings of ICMEM, 23–25 March. Service, Valerie. 1984. Maternal styles and communicative development. In Language development, edited by Andrew Lock and Eunice Fisher, 132–40. London: Croom Elm. Sheets-Johnstone, Maxine. 1999. The primacy of movement. Amsterdam: John Benjamins. Silverman, Marissa. 2012. Virtue ethics, care ethics, and “the good life of teaching.” Action, Criticism, and Theory for Music Education 11 (2): 96–122. Slater, Mark. and Adam Martin. 2012. A conceptual foundation for understanding musico-technological creativity. Journal of Music Technology and Education 5 (1): 59–76. Sloboda, John. 1985. The musical mind: The cognitive psychology of music. Oxford: The Clarendon Press. Small, Christopher. 1998. Musicking: the meaning of performing and listening. Middletown, CT: Wesleyan UP. Sterne, Johnathan. 2012. The sound studies reader. London: Routledge. Stewart, John, Olivier Gapenne, and Ezequiel Di Paolo, E. A., eds. 2010. Enaction: Toward a new paradigm for cognitive science. Cambridge: MIT Press. Sutton, John. 2006. Distributed cognition: domains and dimensions. Pragmatics and Cognition 14: 235–47. Thompson, Evan. 2007. Mind in life: Biology, phenomenology and the sciences of mind. Cambridge, MA: Harvard UP. Thompson, Evan, and Mog Stapleton. 2009. Making sense of sense-making: Reflections on enactive and extended mind theories. Topoi 28 (1): 23–30. Thompson, William I. 1998. Coming into being: Artifacts and texts in the evolution of consciousness. New York: Palgrave Macmillan Trade. Thomson, Iain. 2001. Heidegger on ontological education, or: how we become what we are. Inquiry 44: 243–68. Torrance, Steve, and Tom Froese. 2011. An inter-enactive approach to agency: Participatory sense-making, dynamics, and sociality. Humana.Mente 15: 21–53. Trevarthen, Colwyn. 1999. Musicality and the intrinsic motive pulse: Evidence from human psychobiology and infant communication. In Rhythms, musical narrative, and the origins of human communication, edited by Irene Deliège, Musicæ Scientiæ special issue: 1999–2000, 157–213. _____. 2002. Origins of musical identity: Evidence from infancy for musical social awareness. In Musical identities, edited by Raymond R. MacDonald, David J. Hargreaves, Dorothy Miell, 21–38. Oxford: Oxford UP. _____. 2012. Epilogue: Natural sources of meaning in human sympathetic vitality. In Moving ourselves, moving others: Motion and emotion in intersubjectivity, consciousness and language, edited by Ad Foolen, Ulrike M. Lüdtke, Timothy P. Racine, and Jordan Zlatev, 451–83. Amsterdam/Philadelphia: John Benjamins Publishing Company. van de Pol, Janneke, Monique Volman, and Jos Beishuizen. 2010. Scaffolding in teacher-student interaction: A decade of research. Educational Psychology Review 22 (3): 271–96. van der Schyff, Dylan. 2010. The ethical experience of nature: Aristotle and the roots of ecological phenomenology. Phenomenology and Practice 4 (1): 97–121. _____. 2013a. The free improvisation game: performing John Zorn’s Cobra. The Journal of Research in Music Performance, Spring. _____. 2013b. Emotion, embodied mind and the therapeutic aspects of musical experience in everyday life. Approaches: Music Therapy and Special Music Education 5 (1): 50–58. _____. 2015b. Praxial music education and the ontological perspective: An enactivist response to Music Matters 2. Action, Criticism and Theory for Music Education 14 (3): 75–105. _____. 2016. Phenomenology, technology and arts education: Exploring the pedagogical possibilities of two multimedia arts-based inquiry projects. Interference: A Journal of Audio Culture, 5(1): 38-57. Varela, Francisco J. 1979. Principles of biological autonomy. New York: North Holland. _____. 1999. Ethical know-how: Action, wisdom, and cognition. Stanford, CA: Stanford University Press. Varela, Francisco J., Evan Thompson, and Eleanor Rosch. 1993. The embodied mind: Cognitive science and human experience. Cambridge, MA: MIT Press. Vygotsky, Lev.1987. Thinking and speech. Translated by N. Minick. New York: Plenum Press. Weber, Andreas, and Francisco Varela. 2002. Life after Kant: Natural purposes and the autopoietic foundations of biological individuality. Phenomenology and the Cognitive Sciences 1: 97–125. Westerlund, Heidi. 2002. Bridging experience, action, and culture in music education. Helsinki: Sibelius Academy. Wexler, Phillip. 2000. The mystical society: Revitalization in culture, theory, and education. Boulder, CO: Westview. Wilson, Chris and Brown, Michael. 2012. Sound, space, image and music: Hybridity in creative process through technology, interactivity and collaboration. Journal of Music Technology and Education 5 (1): 89–107. In this context the term ‘autopoietic’ describes a self-organizing cognitive system that enacts a meaningful world through an ongoing history of embodied interactivity with the environment in which it is embedded (Maturana and Varela 1980, 1992). Regelski (2016b) discusses this very effectively in terms of a ‘hegemonic ideology’ that often obscures the meaning of music as social praxis. For further discussion of these terms in an ontological context and in relation to the praxial approach to music education see van der Schyff, 2015b. As Elliott and Silverman (2015) discuss, when a focus on techné obscures the other three elements (poiēsis, theoria, phronēsis) all connection to praxis is lost. In such situations techné is stripped of its ethical responsibility, “as technical skills are not, by themselves, individuating, self-actualizing, creative, or personal growth experiences” (46). In enactive theory this is often discussed in association with the difficult notion of ‘operational closure’ or ‘organizational closure’ (see Varela et al., 1993). This term has proven to be problematic because, at first glance, it seems to contradict the fundamental relational orientation of enactivism. In order to avoid confusion we have not used the term in this paper. For a useful discussion of this concept see Vernon et al., 1993. Following Aristotle’s notion of órexis, Martha Nussbaum remarks, “we all [(natural beings)] reach out, being incomplete, for things in the world. That is the way our movements are caused” (2001, 289). She goes on to examine in detail, how our ethical selves are formed from birth by this reaching out with our senses, our souls and our minds to the world (nature, things, our parents and siblings, our friends and colleagues; our society, other societies) in order to feel, intuit, imagine and rationally understand our needs, desires, and reasons. This is to say Piaget essentially reverses Kant’s categories from their original a priori status in order to consider them as the potential outcomes of relational processes of development. This way of understanding development has been placed in the context of a racist ‘colonial logic’ associated with the theory of ‘recapitulation’, which assumes that human ontogenesis follows a pattern from the savage to the civilized (Fallace, 2012). In line with this, music education is often understood as moving from more ‘primitive’ practices (i.e. the child as primitive) associated with non-Western musical cultures and instruments towards the full realization of human potential in Western art music (Abril 2013). For a brief discussion see Elliot and Silverman 2015, 131–6. See also Kimpton, 1959. This might be understood in terms of musical ‘affordances’. See Krueger 2014; Menin and Schiavio 2013; Reybrouck 2012. As Regelski warns, from this decontextualized technicist approach “good teaching is simply a matter of the standard use of ‘good method’. And since method is deemed good before the fact of use, and the training and delivery of method is standardized, any failure of students to learn […] is attributed by default to ‘uncontrolled variables’” (2002, 111). Readers may note here the deep relevance of improvisation in such processes, which though marginalized in Western academic music, may, from the enactive perspective, be understood as a central aspect of social cognition—which perhaps explains its ubiquity in most other musical contexts and cultures (Bailey 1993; Berliner 1994; Monson 1997; Nettl 1998). This term is borrowed from dynamic systems theory to describe how complex self-organizing systems emerge and develop. For a brief overview in an enactive context see Colombetti (2014) and Varela et al. (1993). Neil Evernden (1993) writes, “By describing something as a resource we seem to have cause to protect it. But all we really have is a license to exploit it” (23). For example, music as a means of developing the “third space” (see Bhabha 2005). Along these lines, see the exploration of Bakhtin’s (1981) notion of ‘heteroglossia’ in Powell’s (2005) discussion of improvisation in a cross-cultural Taiko drumming ensemble. O’Neill’s (2009) cultural diversity theory of difference also resonates closely with these ideas.